Once again, Robert has made our home buying experience very smooth and very positive experience !! HIs professionalism and knowledge of the real estate market is second to none and I would highly recommend him for your next Real Estate transaction. Our experience selling a house with Robert Haynes was phenomenal! His approach, understanding of the market and keen sensitivity to our concerns as sellers were evidence of a knowledgeable and successful realtor. He provided genuine advice to make sure that we understood he was working for us and not just for a commission. He took care of us and sought the right buyer for our home. 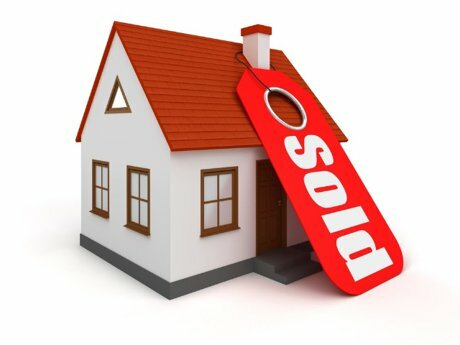 We believe the process of selling our home was fast, seamless and convenient because he has mastered the use of technology and services that make it simple and easy for anyone, especially working families with busy schedules, to sell their homes with minimal disruption of their daily lives. He was ready and made sure we were ready, which meant we sold our house after 3 showings, closed within 45 days of putting our house on the market, and achieved the maximum selling price for our home! Yes, Robert is a great partner for anyone looking to buy or sell in today's market! Just finished our fourth transaction with Robert. This involved the sale of a beautiful home which was near an ongoing major road construction project. Robert went above and beyond to market this home. His creativity, determination, real estate knowledge, and experience led to a successful closing on this home. Thanks again Robert! Robert was GREAT to work with! We have worked with other real estate agents in the past and had been disappointed by their dishonesty and lack of communication. Robert was honest and prompt in answering all our questions. He was exceedingly patient with us, as we were very particular in what we wanted. He even told us to "walk away" when certain houses had evidence of major issues. It was clear from day one that he had our best interest at heart. I 100% recommend Robert Haynes Reality! You will not be disappointed! Robert and I had flown together many times in Civil Air Patrol and when it was time to put my house on the market I knew Robert was the right person for the job! My house was in a great Fishers neighborhood near 106th and Cumberland and although the majority of the houses in that area went quickly, mine had a steep driveway that seemed to be of concern to buyers. Robert was very attentive and his outstanding experience and knowledge was brought to bare and the house was sold !! I couldn't be happier with the great service and professionalism Robert exhibited and I would recommend him to anyone !! My husband and I understand why Robert Haynes is a five star Real Estate Agent after using him as our realtor. We listed our house with him even though we were out of state at the time. Being out of state was not an issue with Robert. Our house sold within a week and Robert handled everything beautifully. His knowledge and insight in every area was remarkable! We have had an excellent experience working with Robert. He gives excellent and prompt service whenever needed and helped guide us through every step of the selling and buying process!? I have worked with many realtors in various capacities. When starting a search for our new home, I knew I wanted more than a realtor. I wanted someone caring and attentive yet disciplined and prompt. I wanted a realtor that was knowledgeable in more than just real estate. My list was lengthy in the search for our dream realtor. My husband and I found more than I had hoped for with Robert Haynes. He and his services are a blessing and exceeded our expectations again and again. The entire experience was enjoyable. Robert made the process simple and is someone who we admire and trust. We highly recommend Robert Haynes and look forward to working with him in the future. Aaron and Julie B. Noblesville? I bought my home first time with Robert, he cleared lot of challenges I faced. During the signing process Robert explained past history of many houses. He saved me from buying an illegitimate house. My wife describes him as a "caring person who'll go the extra mile for a customer". Robert treats the customer as if he was going to buy the house. I am very pleased with Robert's effort in our home buying. I would highly encourage everyone to use Robert Hayne's services. Thank you Robert for your help and dedication.Today I was asked by a friend, " Is Robert a good real estate guy?" I said, "No, he is an excellent real estate guy, truly." 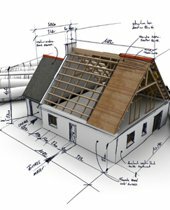 As a first time home purchaser we came to the process with a minimal understanding of all that is involved from evaluating a home to closing. Robert knew when to act quickly and which items to leave alone. He saved us loads of time, and got us into the right kind of homes for viewing. Robert gets right to the point with each question or need. No nonsense, but friendly. In the end we found a great home for our needs at a good price. I am sure there are other fine real estate agents out there, but if you are shopping around for an agent, I would say, just stop looking and give Robert a call. When you move to a new area, there are so many logistics to juggle - getting settled at a new job, finding your way around town, updating your records. The list seems endless. And perhaps the most stressful is finding a home. After all, you want to find the right home in the right place at the right price. And key in that process is finding the right real estate agent. And that's exactly what happened when Robert Haynes began helping us. Robert was the perfect blend of patience and perseverance as he worked on our schedule and yet kept us moving toward the goal. And before you know it, we found a great home that truly fit our family. I can't thank Robert enough for his help. From search to offer to closing he was there every step of the way! Working with Robert to purchase our first home was both helpful and effective. Robert's diverse real estate experience helped us evaluate a number of homes that were not right for us. Most importantly, he helped us choose and acquire the property that is perfect for our young family. In short, Robert is kind, patient, and experienced in a way that makes him uniquely qualified to help home buyers find the correct home. 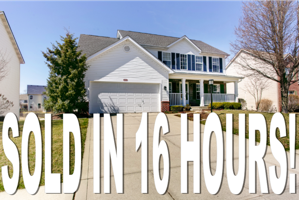 We gave Robert the difficult challenge of finding a 4 bedroom home with a finished basement, in a very moderate price range, outside the beltway, on the west side of Indy. Robert used advanced technology to locate several homes. He then skillfully negotiated an amazing deal, offering creative suggestions to help us close very quickly on the perfect home for our family. I?am impressed with Robert's sincere desire to please his buyers, and his out-of-the box thinking to help find homes for his clients. We have bought and sold several homes, and Robert is the best realtor we have worked with. Robert is extremely professional, has the best technology available, and uses innovative methods that really work! We sold our home with the first showing! We would not hesitate to recommend Robert for any type of real estate need! Simply Put: Robert Haynes is the best realtor in Indiana. In my 34 years of buying and selling many homes, Robert has proven to be an exceptional realtor on more than one occasion. The latest transaction that he handled for me was done after I had relocated to another state. Robert gave me advice that I heeded and my home sold in 17 days in a very difficult recessionary market. Robert gets a triple A rating from me. A gold medal. A 10 out of 10. Need I say more? Robert Haynes is very knowledgeable, principled, and empathetic. I met Robert when I approached him with some questions I had about short sales, foreclosures, and rural grants/loans. E-mails were responded to in a timely fashion and Robert addressed every issue. While living in Nevada when I was looking for a house in Indiana, Robert guided me through which properties were suited for me and which were not. He has the ability to keep your priorities in mind and match up properties with desired locations. Remarkably, I bought my house without stepping foot in it. Once I saw the property, I knew it was the right home for me. Robert led me through every step and even got the house for less than I thought I would have to pay. Thank you, Robert. It was a pleasure working with Robert buying a new house and selling our existing home. Robert is not like most realtors who just try to "make the sell" and think about their commission and not about the buyer. An example is when we found a house that we really liked but, unfortunately there was another buyer who also made a bid on this house pretty much about the same as our bid. The sellers realtor said give us your best and final offer. Robert said lets hold off and let me go back to the office and check the competition and what the houses are selling for in the addition. About an hour later, Robert called and stated not to offer anymore money for the house because it would be a poor decision and we would lose money if we made a larger offer so we walked away. ?We later learned that the house did not appraise for what the seller was trying to sell it for so Robert saved us about $10,000 on the deal where other realtors would not have looked out for the buyer. Robert called the next day and stated he found a house comparable to the one we bid on the previous day. Robert was able to negotiate with the sellers realtor and we were able to get the house for much less than the buyer was asking. Also, we had a home that needed to be sold and there were several houses in our addition that were in our asking price range and a couple had more features than our home. There were also several houses in our addition that were for sale for months and were unable to sell their home. Robert came to our home and with his several years of being in the business offered his knowledge on how to make our house more marketable than the other homes in the area. We took Robert's suggestions and made the improvements he suggested. Our home sold in (6) days. Yes, I said 6 days. So from when we made the offer on the home we are living in now and selling our home was approximately 7 weeks. That is unbelievable. I also need to say that Robert is a very caring person. In the process of selling our home my son became ill and had to go to the hospital several times. Robert told me to take care of my son and he would take care of the rest. How many realtors would have?done that? In my experience of buying and selling homes, I can honestly say no other realtor I have experienced would. Robert is not only an awesome realtor but, now a friend. I have told several of my friends about my experience with Robert Haynes and would recommend him 100 percent.